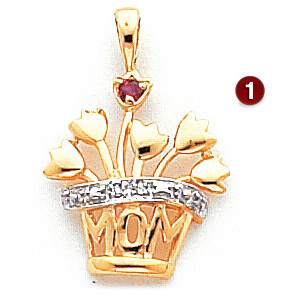 The Mom's Bouquet pendant is slightly smaller than a dime. 14k gold. Each round birthstone is 2mm in diameter. The pendant is available with one to five simulated or genuine birthstones.